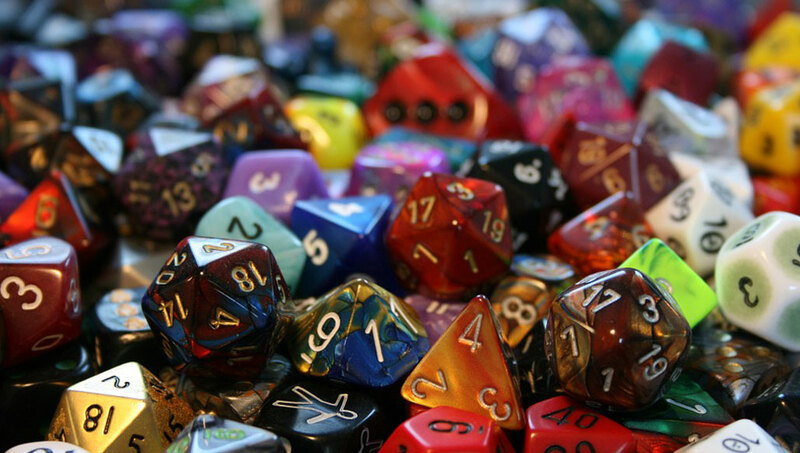 Why Does Dungeons & Dragons Matter? Each month in our “Why Does Nerd Culture Matter?” series, one of our authors takes a look at a different area of nerd culture and answers the question: why should we care? I just spent an hour Googling magpies. We’ve only had one in our back garden since August. (My neighbors tell me I should consider this a blessing.) Yet, here I am, disappointedly looking out my window before turning back to the Sophie the Magpie live stream and jotting “dunks food before consumption” on my character sheet. I deliberate between an aarakocra barbarian and a kenku warlock, settling for the latter. What’s more fun than giving an archfey patron a meddlesome kenku devotee? With the help of the tabletop roleplaying game, Dungeons & Dragons, I’ve become more attentive to local wildlife, curious about various historical periods, and even forced myself to mend my own belongings. I’m more compelled to explore unfamiliar forms of literature and have redoubled my efforts to learn Spanish and French. All of this demonstrates one of the primary ways D&D has affected me that I appreciate most: it reintroduces me to the world by way of re-enchantment. By engaging in fantasy and indulging in creativity, I’ve not only restored my own curiosity, but I’ve also rediscovered my own tenacity as well. It can be easy to see the world as a series of stimuli and obstacles one must overcome. The Good Place is an excellent narrative example of the existential struggle people now experience in trying to be considered “good,” which can then culminate into a sense of “analysis paralysis.” By placing my psyche, so to speak, in an alternative realm, I give it room to experiment, question, and breathe—activities becoming increasingly more difficult to pursue today. Tabletop roleplaying has allowed me to share experiences with people I may not have had the opportunity to meet, and by virtue of their fictional nature, those relationships have the capacity for depth and longevity. Yeah, I guess I could be running more and there are dishes in the sink that need doing, but here are people that God created, and they are telling me their stories. Is there a better time spent than getting to know the astounding depths of my neighbor’s imagination? Something better than gawking at my DM (dungeon master) as they rattle off an encyclopedia article on the Aztec Empire that inspired the entire campaign? 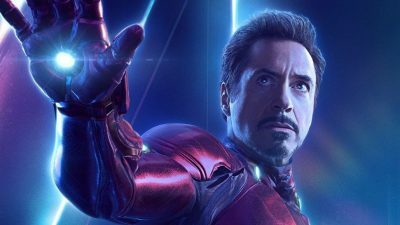 Something better than marveling at my husband’s ability to not only write a clever character, but manipulate numbers in a way I have only seen depicted in Wolf of Wall Street? Yeah, I guess I could be running more and there are dishes in the sink that need doing, but here are people that God created, and they are telling me their stories. What people create reflects who they are, and I hope I never stop being enthralled by that. In my opinion, there is nothing more insulting than the suggestion that someone’s imagination is uninteresting. In Genesis, we read of a God who is intimately involved with His creation, who breathes His own breath into humanity, making us in His image. This includes our capacity to imagine and create. I cannot think of a better way to spend my time than creating and delighting in the company of God’s image as we cooperatively test the limits of our imagination. No, it’s not, Sharon. That’s kind of the point. One of the most common criticisms for indulging in this hobby stems from the persistent uncertainty that fiction holds any value. Skepticism over the power and validity of fantasy and escapism persists. How could anyone possibly yearn for more than the Great Commission? How does roleplaying grow the Kingdom? That’s fair, but how does the Kingdom stack up to your $105 a month coffee habit? Tabletop RPGs let me explore and communicate that hope in various realms, sometimes as an on-the-nose human cleric, and sometimes as a hippo with a musket and waxed mustache. In this historic, corporate declaration of faith, we profess not only a shared hope but a recognition that there’s still a lot yet to be revealed to us. This doesn’t mean we stop looking, nor does it mean we stop wondering. There’s an acting coach who likes to describe an actor’s job as, “Living truthfully under imaginary circumstances.” I like to apply this principle to all my games, and ministry—with an adjustment. A Christian’s job is to “Live truthfully within the hope of the imagined future.” I would not be half so patient, nor loving, nor bold if I could not imagine past our current circumstances. Tabletop RPGs let me explore and communicate that hope in various realms, sometimes as an on-the-nose human cleric, and sometimes as a hippo with a musket and waxed mustache. Many choose activities based on the assumed social value attached to those activities. Marketing and communications departments refer to this as “social currency.” You “earn” social currency through activities such as conversation, which helps you form a sense of identity and community. It gets a little complex so I’ll spare you the French sociology but, ultimately, what we invest in shapes who we are. Fellowship naturally builds from that. Tabletop roleplaying is a natural arena to build fellowship outside of one’s own immediate scope. A few decades ago, this would have required quite a bit of legwork, or may not have happened altogether. 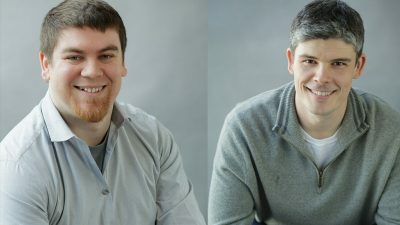 Tabletop lifers Pastor Derek White (The Geek Preacher) and Mike Perna (Innroads Ministries, Bard & Bible podcast) can tell you the time one had to put in to “gather a party,” and, if important to you, expand social horizons. Now more than ever it is easier to find fellow gamers and role-players. 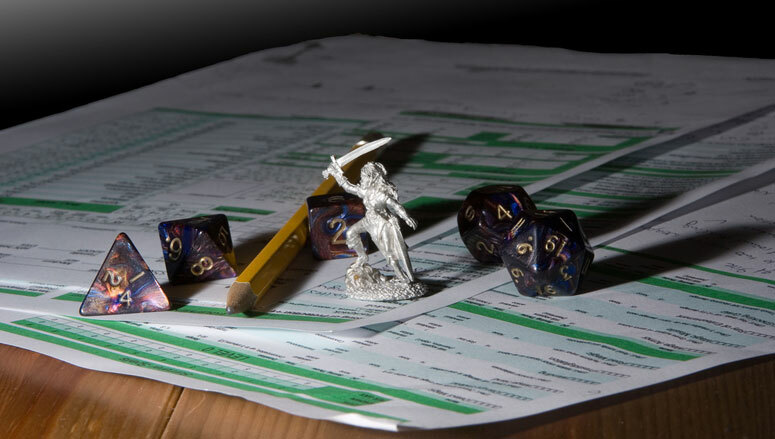 Hop on over to any of the various online RPG groups and you’ll find yourself among one of the thousands of members sharing tips, asking for feedback on character creation and trying to hide plot points from their party. Yet despite the abundance of resources, RPG fans alike all know the Curse of the Scheduling Conflicts, the Gaming Ghost Town, and the Quest for a Proper Venue. What can you (and your church) do? Make space. 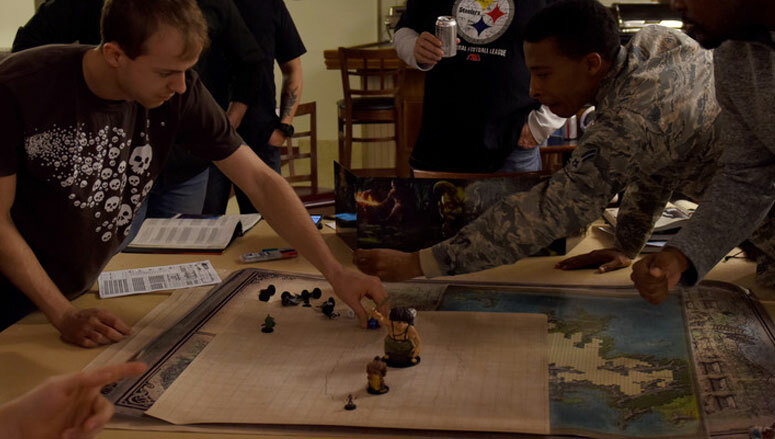 Demonstrate hospitality and host RPG nights. Don’t stop there! Join in and ask questions. Humble yourself by asking how spell slots work (again). Use funny voices and create new bedtime stories in the process. A few years ago, my husband and I introduced my cousin to D&D thinking it may spark his already prolific, yet timid, ingenuity and allow him to express himself without the shame that inevitably coats our adolescence. We were delighted when we met Loki, the elven rogue, master thief, and dealmaker. Through many conversations after, we’ve been told how tabletop roleplaying has helped him socialize. He knows everyone at the table is invested in the activity, so he doesn’t feel weird about getting involved. Instead of narrowing his social circle, it broadened. He was so emboldened by the hobby that he started his own club at school, a place he often told us he dreaded. I have since witnessed this quiet, nervous kid, who felt like he needed to trick you into playing with him, flourish into a decisive, assertive young adult. He has improved his math scores, delved into new forms of literature, and started woodworking. (The kid built a clock.) All this from a taste of camaraderie built at the gaming table. Creativity. Endurance. Fellowship. All of these are possible thanks to a “goofy game of make-believe”. To boot, now I know a heck of a lot more about our local bird population. I wonder what else I’ll learn in the process? Ashley is currently an MLitt student with the Institute for Theology, Imagination, and the Arts at the University of St. Andrews in St. Andrews, Scotland. There she is researching the use of religious language and stage direction found in the plays of Samuel Beckett. When she is not studying, writing, or teaching, she co-hosts The Min/Max Podcast with her husband, Allen, and their friend Kyle, where they discuss all things nerd culture and theology. 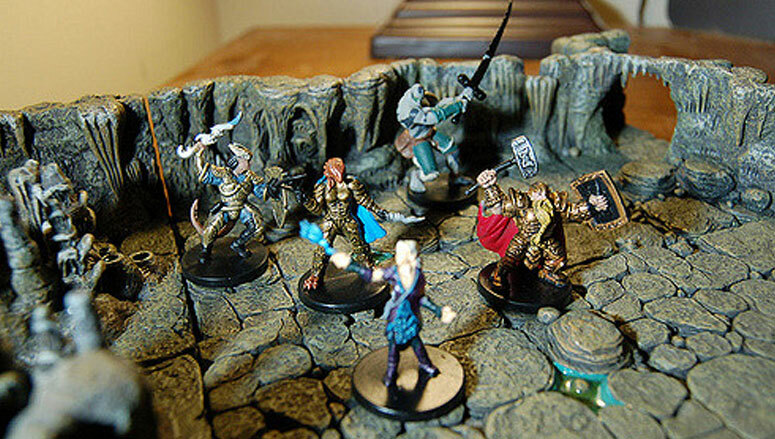 Adam Davis and Adam Johns of Games to Grow join Drew and Chris this week to talk about the therapeutic uses of Dungeons & Dragons.